SCHEDULE CHANGE: One show on Sunday at 5 p.m. ONLY. NEW HAVEN, Mo. - Showing at the Walt Theater this weekend will be The Longest Ride (Rated PG-13 - 2 hr 19 min) staring Scott Eastwood, Britt Robertson, and Alan Alda. Photo courtesy of Josh Hoener. NEW YORK CITY, Ny. - Click here to read New Haven senior Molly Munsinger’s recap about their days in New York City and the long drive home. NEW HAVEN, Mo. 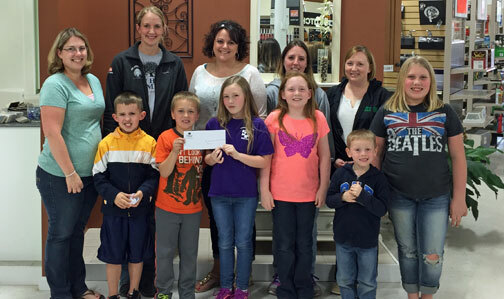 - Friday morning Chelsea Rohlfing presented a $1,500 donation on behalf of the New Haven Lumber Yard to members of the New Haven PTO to go towards the playground project. The PTO has been working towards raising funds to replace the current and outdated playground at the New Haven Elementary. MONTGOMERY COUNTY, Mo. 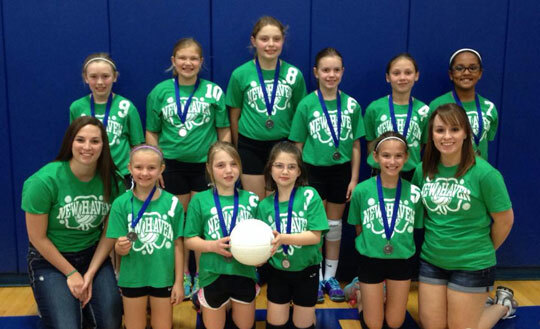 - The future looks bright for the Shamrocks Volleyball program after New Haven’s 4th grade volleyball team took 2nd place in the Montgomery County Volleyball Tournament Friday night. The Shamrocks got off to a rock’n start, going 2-0 in pool play, giving them the number 1 seed for the single elimination Championship bracket play. NEW HAVEN, Mo. - On April 6, we started our second year maintaining the water garden at the New Haven Care Center. This activity will continue the first Monday of each month through October (10/06) at 8:00 A.M. As a related activity we also plan to continue our “Share the Blooms” program on these Mondays. 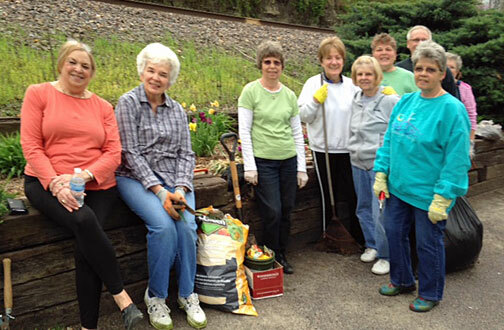 Last year garden club members brought flowers from their gardens and made arrangements for the care center. Volunteers are welcome to help with the garden or to donate flowers. Rhonda Helling (237-2853) is our lead coordinator for this project and we have two members, Betty Altemeyer and Lucille Pohlmann, who have experience creating arrangements. CLICK HERE to ready Molly Munsinger's article about Day 4 of Senior Trip 2015. WASHINGTON D.C. - Today seniors will be touring Arlington National Cemetery, the White House, the Smithsonian and dinner at the famous Peking Gourmet Inn. See more pictures below from today in Washington D.C.